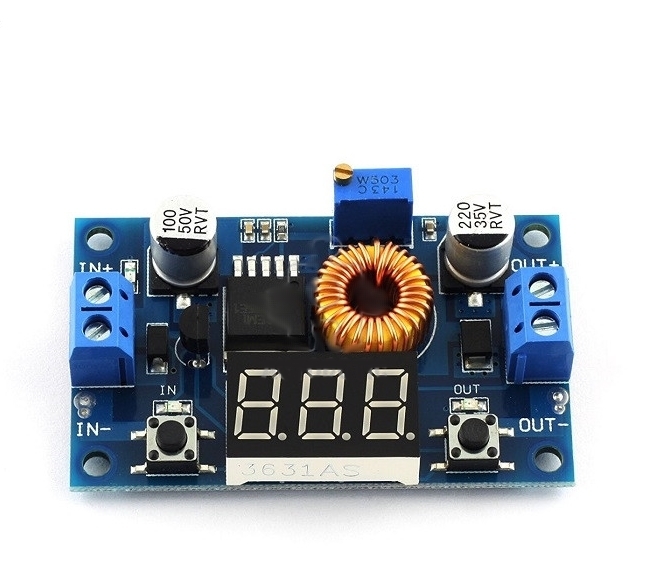 When the voltmeter shows output voltage, long press the right button for 2 seconds, then release, voltmeter and "OUT" LED flash in synchronization. Now the voltmeter enters into output voltage calibration mode. 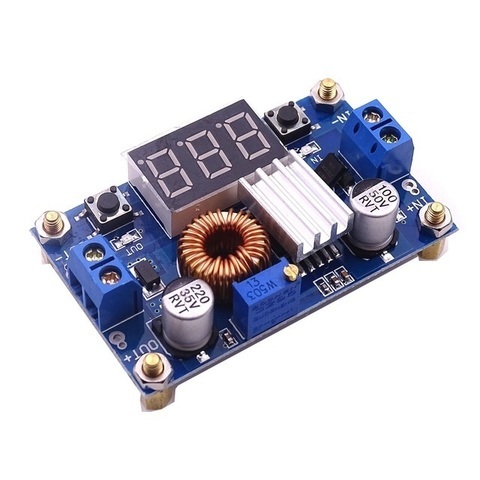 Similarly, when the voltmeter shows input voltage, long press the right button for 2 seconds, then release, voltmeter and "IN" LED flash in synchronization, now the voltmeter enters into input voltage calibration mode.